It’s pretty safe to say that firefighters are badass. They’re brave and strong and run into burning buildings to save people’s lives. Although women are welcome in the fire-fighting world, it’s still very much a “man’s world” in fire departments all over the country. Which is why it’s so cool that women are helping other women become firefighters in New York City, where it’s still really difficult for women to make it through the application process. 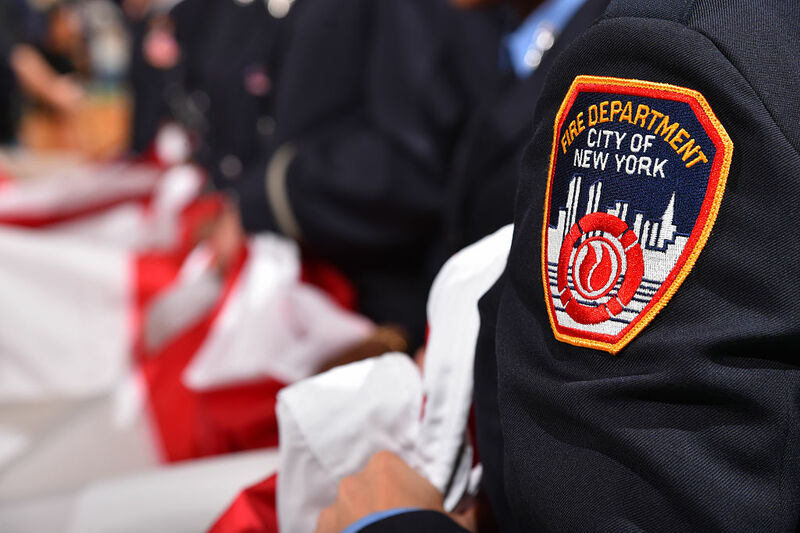 According to a recent report by Kate Dries of Jezebel, the Big Apple inducted 304 Probationary Firefighters, or “probies” as they’re called at the station house. Of those three hundred, just six were women. So now, out of 10,000 firefighters in the city, there are a total of 64 women. That’s not a lot. Despite New York City’s progressive reputation, that number is actually the lowest percentage of female firefighters in any department in the rest of the country, according to the United Women Firefighters president, President Sarinya Srisakul. To help boost that number, the United Women Firefighters teamed up with the New York Sports Club to help empower female applicants to make it through the crazy intense application procedure. A lot of it focuses on helping each other work out to pass the physical tests. It’s three times a week, and definitely not easy, but nothing is more empowering than being around women who all want the same, and the best, for each other. "...watching these women support each other was the highlight of my week. They helped each other set up weights, assisted in pull-ups, gave each other training tips — all while listening to a very solid playlist of jams." A solid playlist of jams is more than necessary when it comes to doing aerobics with heavy vests on, for sure. There are a lot of reasons why it’s difficult to add women to the force, and it has nothing to do with their physical capabilities. Much like in the armed forces, women can do the same physical tests as their male counterparts. As for the application process, it’s timely. Like, you can only apply between the ages of 17 and 28 years old. You have to apply to take the written test and then once you’re approved, can take the physical test and start going through all of the other exams to qualify. The written exams are only given once every four to five years. So it’s hard, especially for women in lower income brackets to make time for that, in addition to starting another career. Those barriers, and a culture that makes firefighting seem like a “man’s job,” is what the UWF is hoping to fight against. Here’s to all the badass women out there trying to join the crew. And an even bigger shout-out to the women reaching out to other women and cheering them on.